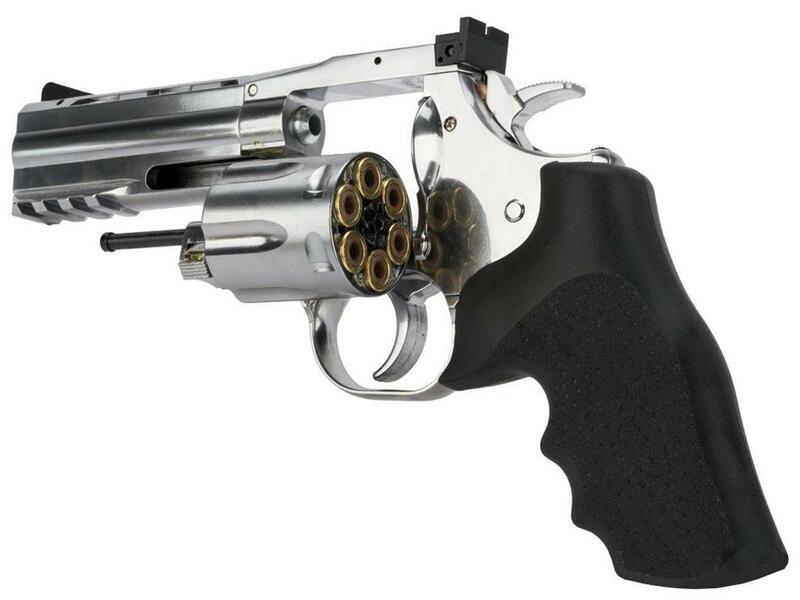 Dan Wesson 4 Inch Full Metal Pellet Gun | ReplicaAirguns.ca | New Website! 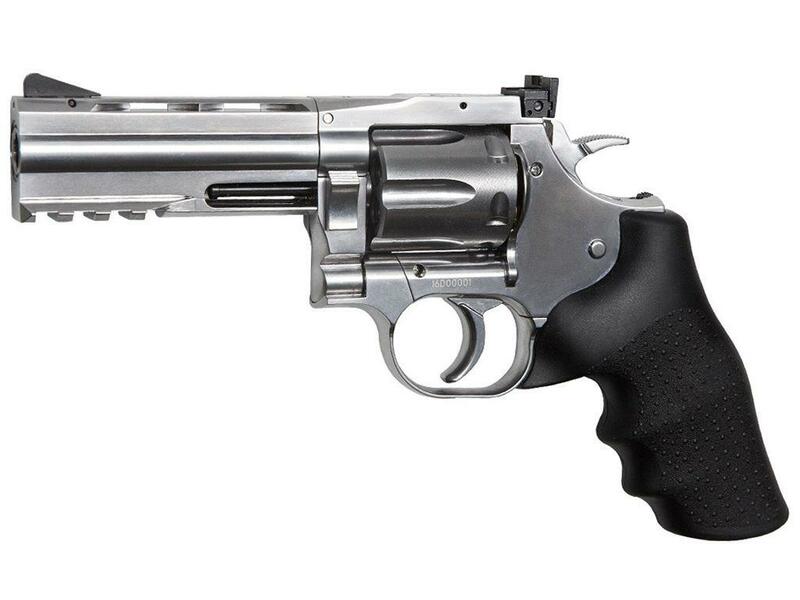 Comments: This mid-sized pellet revolver features a one-piece 4" barrel for a perfect blend of firepower and maneuverability. 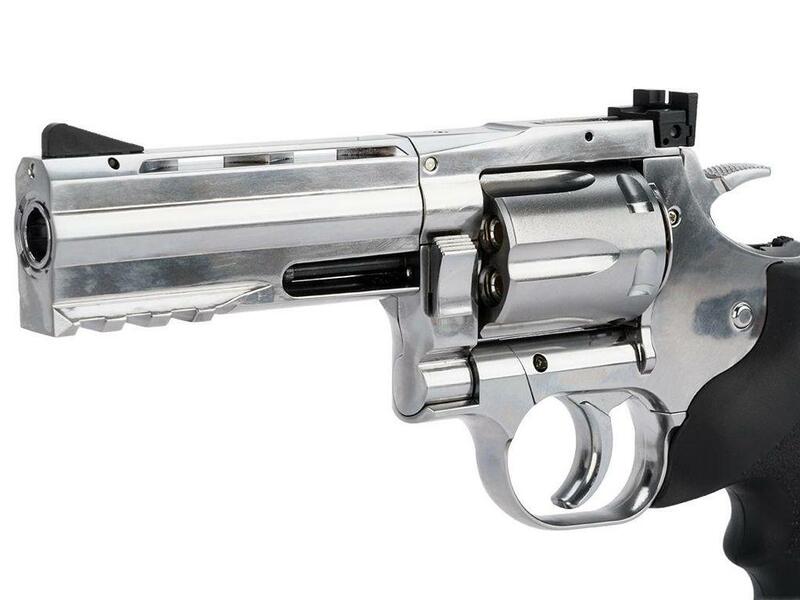 The full-metal construction imitates the real steel Dan Wesson .357 Magnum down to the smallest detail. 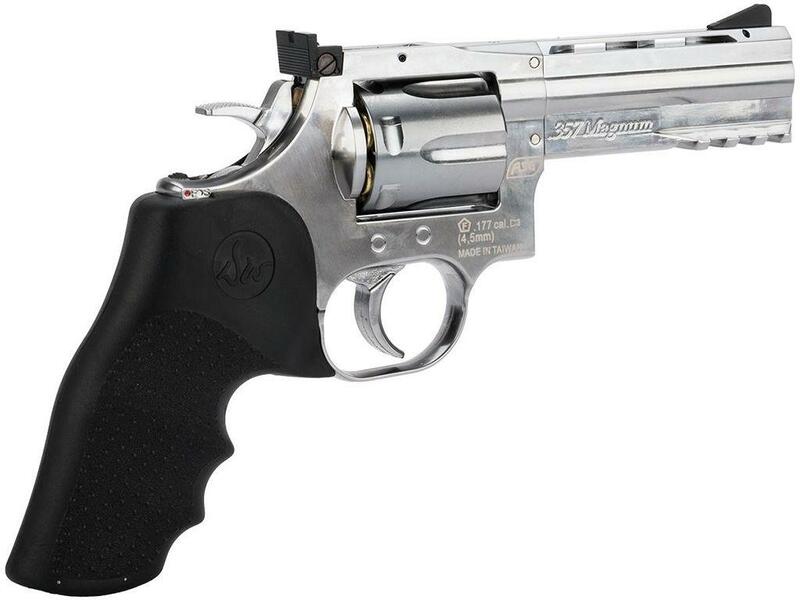 This airgun is a must have for revolver lovers. 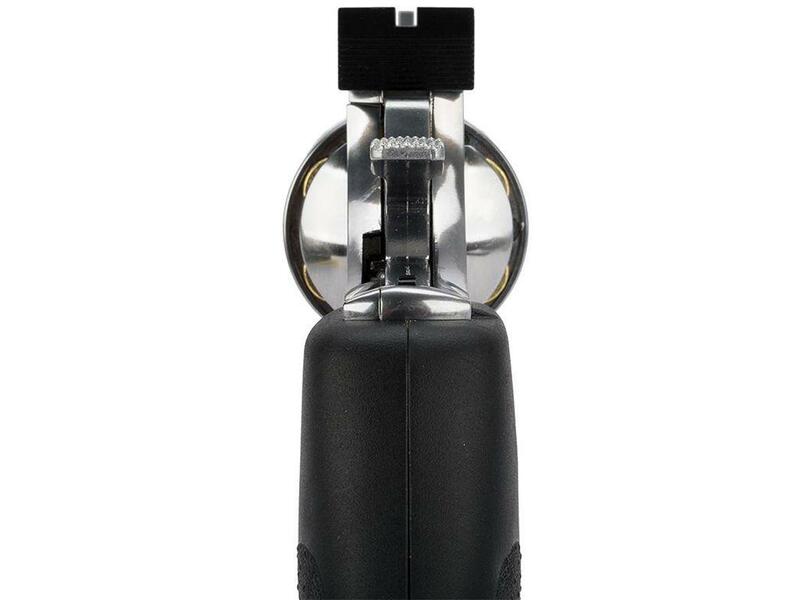 Comes with six cartridges and a speedloader.